There are some recipes that I feel don’t require a recipe. For example, this recipe is very simple to make and doesn’t seem like it qualifies as a recipe. But, then again, I have to remember that some folks don’t cook or are not comfortable in the kitchen and a dish as simple as scrambled eggs needs directions, especially when a unique ingredient is added like nopales (cactus paddles). Growing up we rarely ate nopales. We had nopales growing in our backyard and we would eat the tunas (prickly pears) that grew off of them, and can think of only a couple of times that my grandma made warm nopalitos with sautéed onion and tomatoes, but then again, maybe it was canned green beans? In my moms store she sold nopales in a jar, but they never appealed to me. I was recently interviewed by The Dinner Special and was asked what ingredient I didn’t eat as a kid, but now love. You guessed it – nopales. You can read the blog post and listen to the entire podcast here where I share more stories about my childhood. It wasn’t until a few years ago that I started eating nopales after I found out all their amazing health benefits. Have you seen my licuado de nopal (cactus smoothie) recipe? 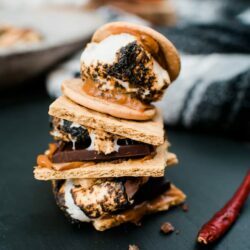 It is one of the most popular recipes on this blog. 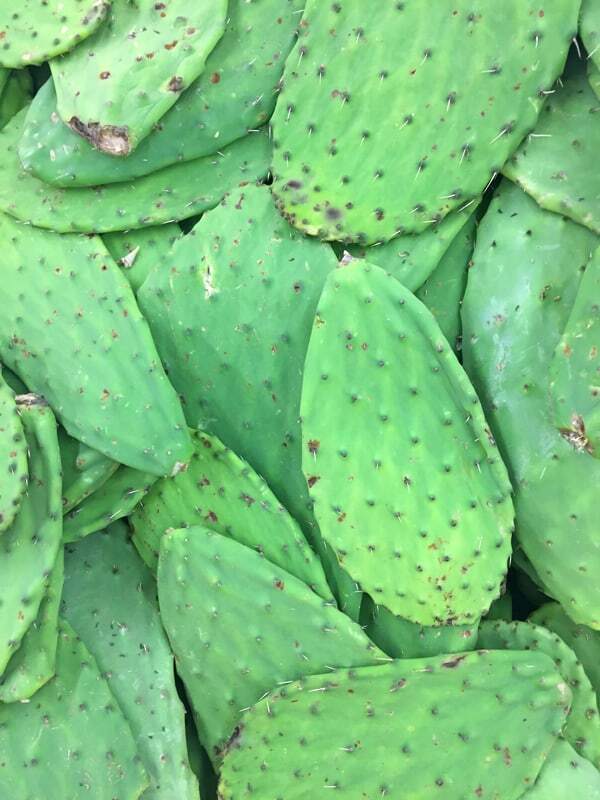 I purchase clean and chopped nopales from my Latin supermarket – it beats having to remove the thorns on my own. 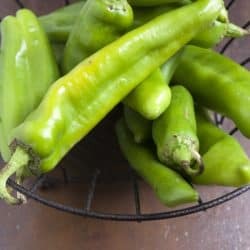 When it comes to cooking with nopales some recipes call for boiling or soaking the nopales in water and salt beforehand to eliminate the “baba” slime. This recipe eliminates that step and they are added in raw to the skillet. I would recommend you cook the nopales thoroughly and allow any gelatinous liquid to cook in the skillet before adding eggs. As with every delicious Mexican recipe it starts with sautéing onion. After the onions are translucent add chopped nopales and combine until the nopales start to darken in color. Once the gelatinous liquid evaporates then add tomatoes and eggs. 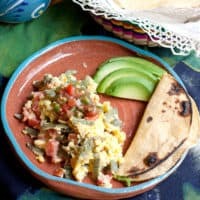 Serve this dish with warm corn tortillas and top with pico de gallo for a delicious and hearty traditional Mexican breakfast. 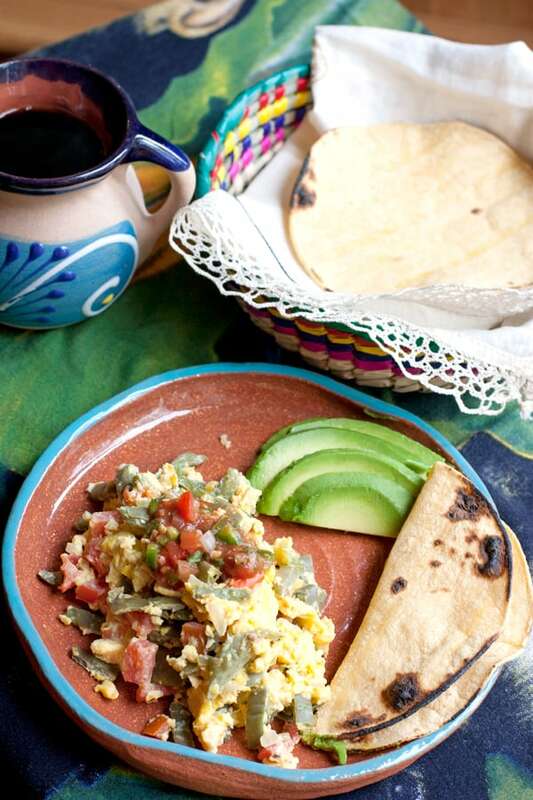 Watch this video to see how simple it is to make Nopales con Huevo — a classic Mexican dish made with cactus paddles and scrambled eggs. 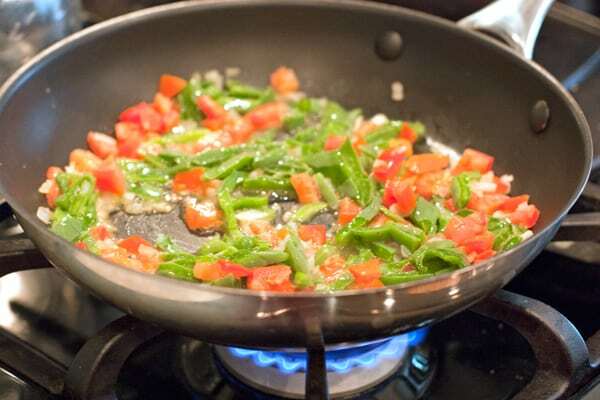 Heat oil in a large skillet, add onions and cook, stirring, until translucent, about 2 minutes. Add the nopales and let them sweat and darken for about 5 minutes, stirring once or twice. 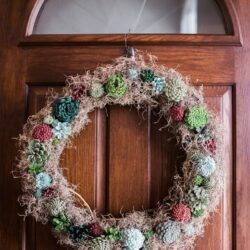 They may exude a gelatinous liquid that will begin to dry out. Add tomato and stir for another 2 minutes. Meanwhile, in a medium bowl whisk eggs and then add them to skillet and cook for 2 to 3 minutes or until eggs are cooked thoroughly. Serve with salsa of your choice and corn tortillas. Yvette! It was such fun having you on the podcast and chatting with you about your memories in and around the kitchen. And your FOOD! Now to get my hands on some of these nopales (great tip about cooking off the gelatinous liquid)! Since I’m not to fond of eggs unless they are scrambled, this is one of my favorite omlets. Healthy and delicous. Truly appreciate the support! Thank you! Great recipe-I made it twice this weekend! Thanks!